I know that Easter has come and gone, but I still wanted to share this new finding with you. At least it is still Spring, right? So, I think we can talk about painted eggs for a few more weeks without being totally off the mark. 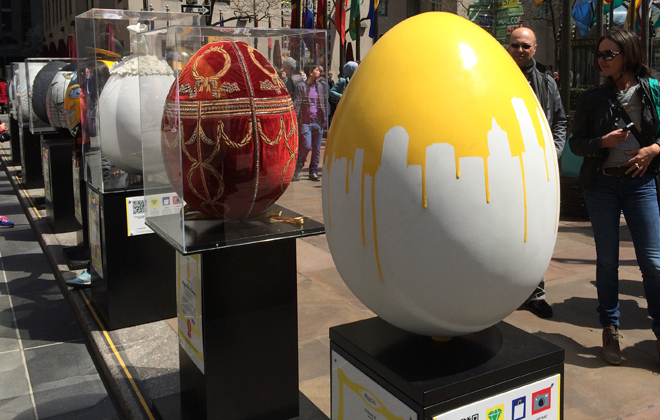 I happened across this amazing exhibit of individually designed eggs at Rockefeller Center right here in NYC all of which was sponsored by Fabergé. 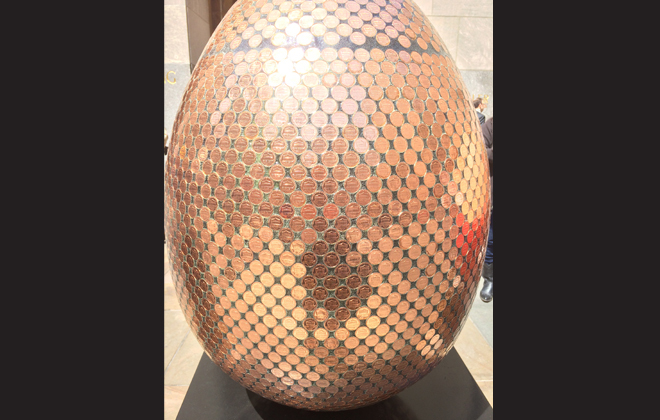 Fabergé is a great brand for me to talk about in general, but since they are the sponsor of this exhibit, The Big Egg Hunt, this is where I will start things off with them. 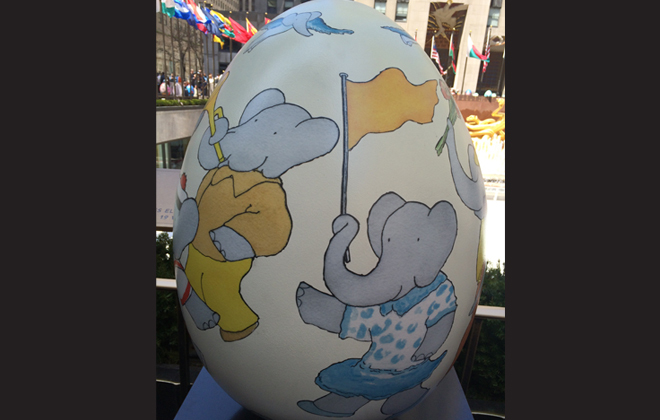 The project had 300, 2½ foot tall egg sculptures that were all designed by globally renowned artists and designers. 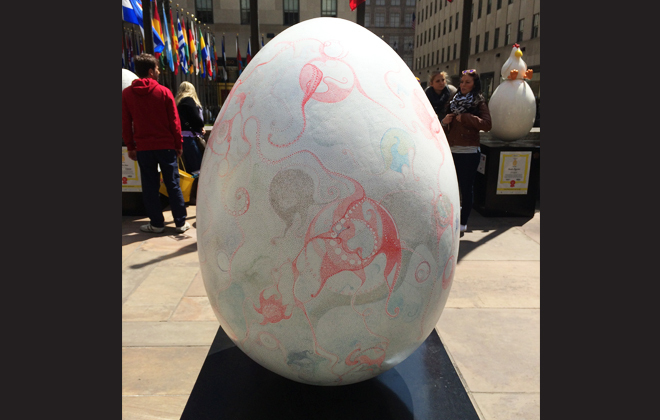 Before the eggs landed in Rockefeller Center, there were hidden all over NYC in various places for you to discover. The eggs were then auctioned off and all the proceeds went to two very deserving charities. This design just felt so right in Rockefeller Center plaza. Very Gotham to me. All photos by Interior Monologue unless noted. I feel like this egg looked way more surreal and lovely in reality. My picture doesn’t do it justice but I had to include it. 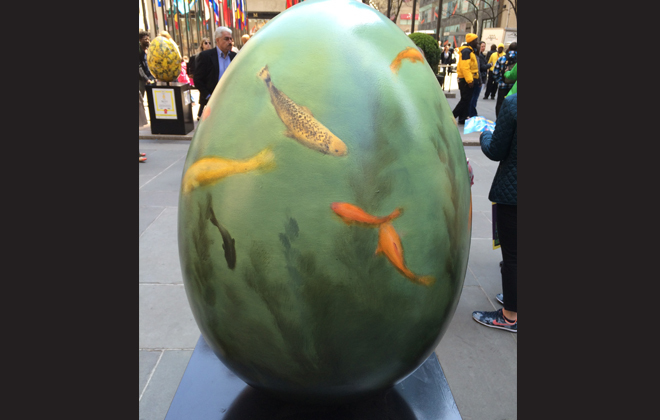 Looked like the fish were swimming in the egg. This might be my favorite one. 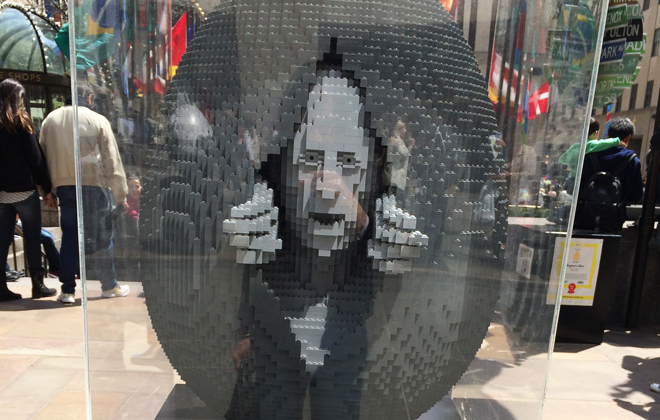 How cool that it is made out of lego? Each and every egg that I saw was something special. 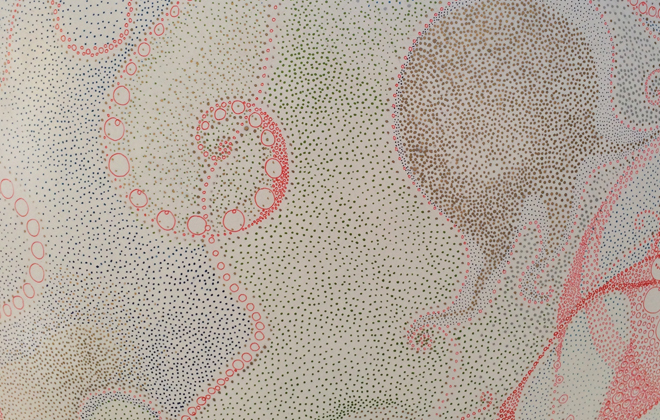 Some were meticulously hand painted, others were made up of coins, legos, porcelain flowers, tiles, and so on. Some were humourous, others were quite dark, but all of them were interesting. There was a design by Tracy Emin, and another by Diane Von Furstenberg, and yet another by Emma Clegg. Coming from my background in experiential design, this is an outstanding example of a charity initiative that is amazing for the brand itself, the local community and the charities they choose to benefit. This design is just amazing. I love the texture. Amazing craftsmanship. Look at that detail! I think this was all hand painted. 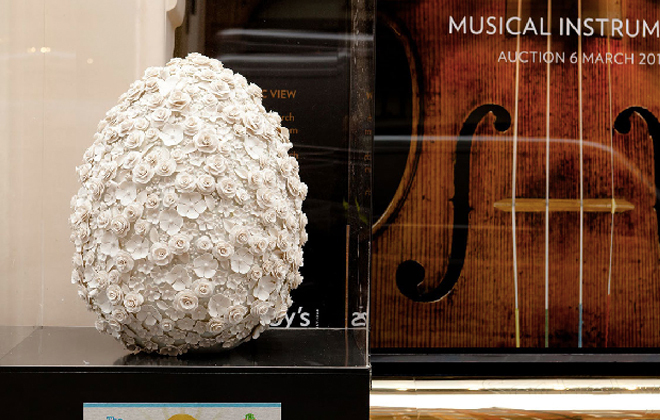 As a passionate advocate of the arts and of creative talent, Fabergé views The Big Egg Hunt as a perfect medium with which to celebrate artistry and creativity. Fabergé was founded in 1842, and has been one of the most revered name in jewellery ever since Peter Carl Fabergé became official goldsmith to the Russian Imperial Court. The house has long created exquisite jewels and objects, including the legendary series of Imperial Easter Eggs which we all seem to associate with Easter to this day. 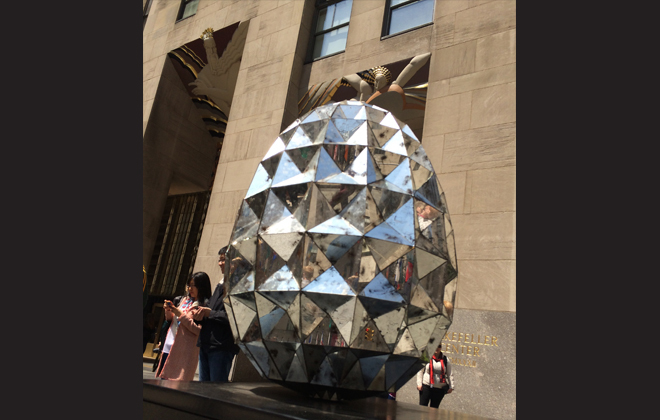 I did actually see this egg on the streets before it moved into Rockefeller Center but had no idea what it was for. Image by Faberge. Another look at how they were displayed. I really loved this yellow skyline egg in its simplicity. Not going to lie though, the one next to it was kinda gauche. That’s a lot of pennies and lot of glue! It is really exciting to see a house like Fabergé that is considered quite traditional, push boundaries in art and craftsmanship as well as philanthropy. 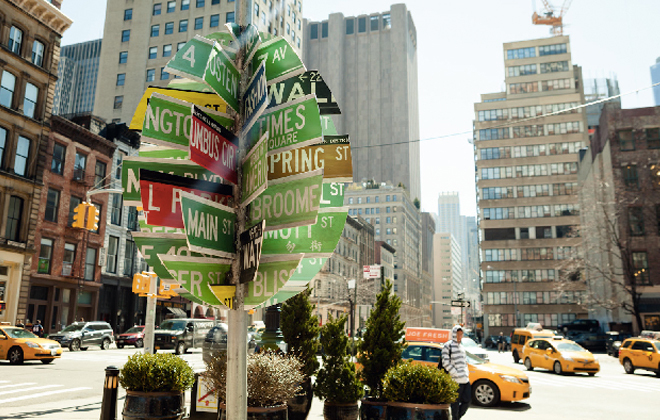 It is hard to capture peoples’ attention in cities like New York, but they sure captured mine. 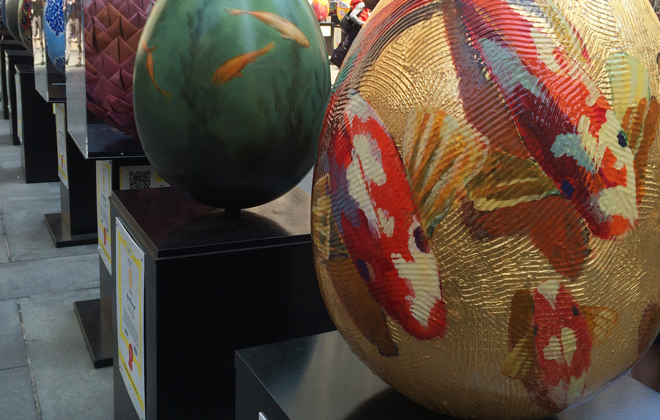 It was amazing to see all these eggs proudly displayed in such a public arena. Most of them weren’t even surrounded by glass or any sort of casing! Very cool. Hope they do this again next year because I sure do love a good egg hunt.